Scripture Candy Delicious, old-fashioned, melt-in-your-mouth, hard peppermints. 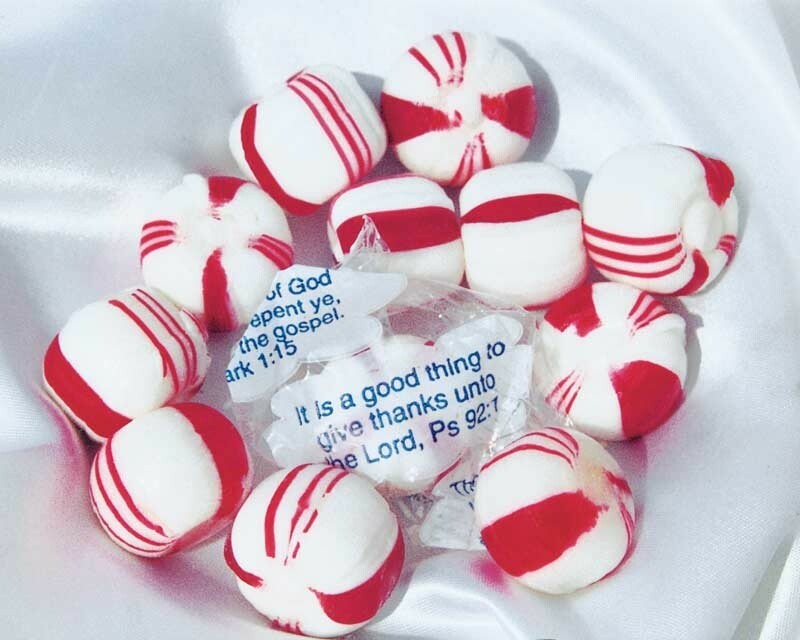 Each Christian candy piece is individually wrapped in 1 of 80 different scriptures. There are approximately 2,400 pieces of religious candy per 30 lb. box.